As many of you know, I not only have a brick and mortar antiques shop and an Etsy shop, but I also do a few shows each year. 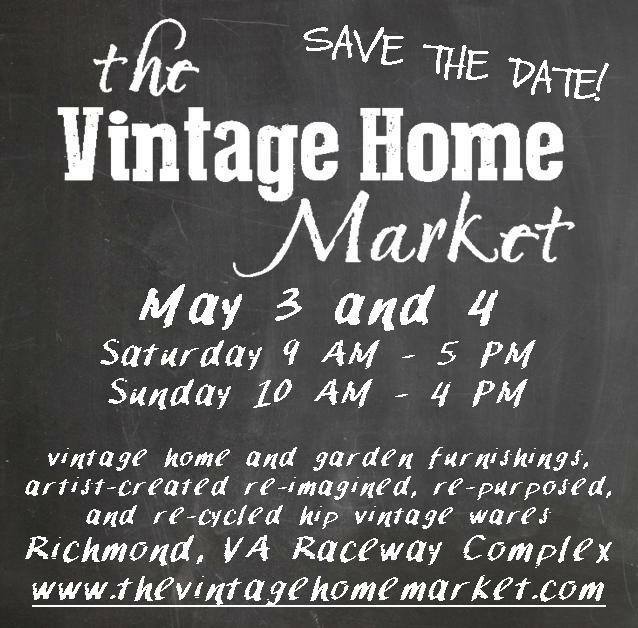 My favorite show, The Vintage Home Market, is coming up very quickly and I have been busy planning and making. Martin and I even have ventured to make a curtained back drop for my booth to give it some extra character! In a previous post I gave you a glimpse of some of the goodies that will be for sale at the market but now I have more to show you. These are all things that I have made. I will take pictures of the booth with the antiques also when I get it all set up on May 2nd. 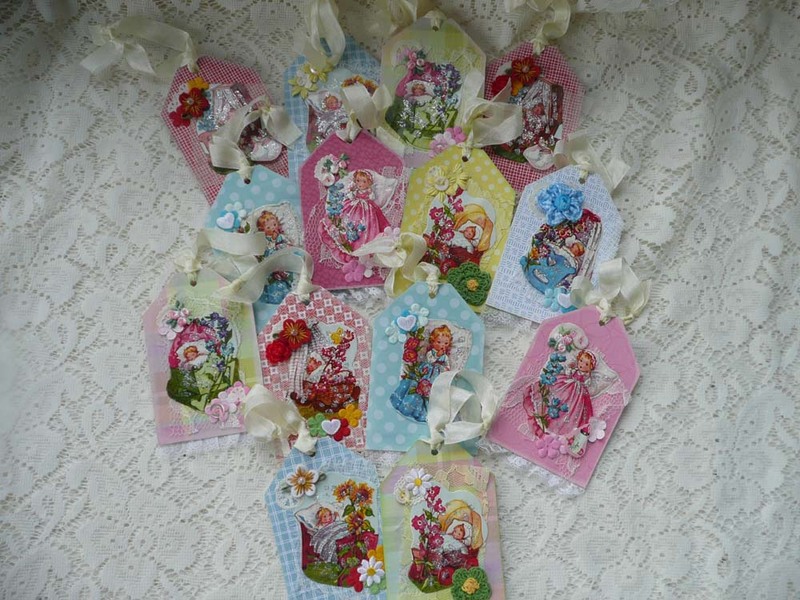 Close-up of some baby tags. These are baby themed hang tags that I made using German die-cuts. Each tag is a little different but I think they all turned out really sweet. 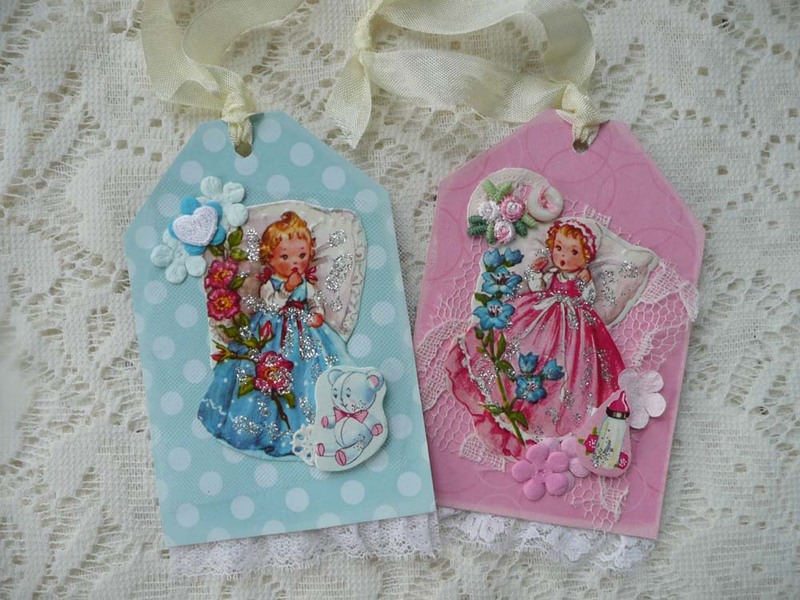 These tags can be used on a baby gift and then hung somewhere in baby’s room for a decoration. When baby outgrows them, they can be put in a scrapbook. 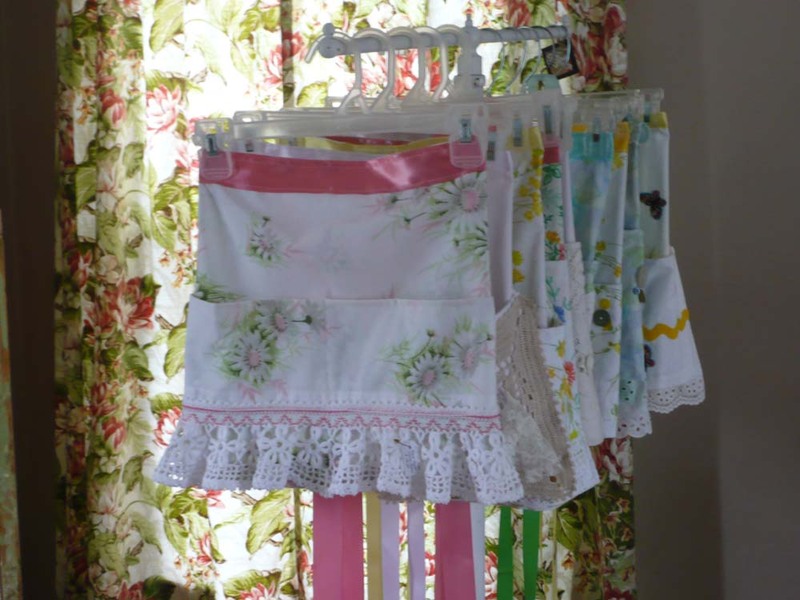 Lots of vintage fabric utility aprons. Horrendous close up of me wearing a utility apron. I can’t believe I am even including the picture of me wearing one of the utility aprons but I wanted you to see how cute they are on. Instead you can see a very unflattering picture of my stomach looking poochy because my belt got stuck under the strap. 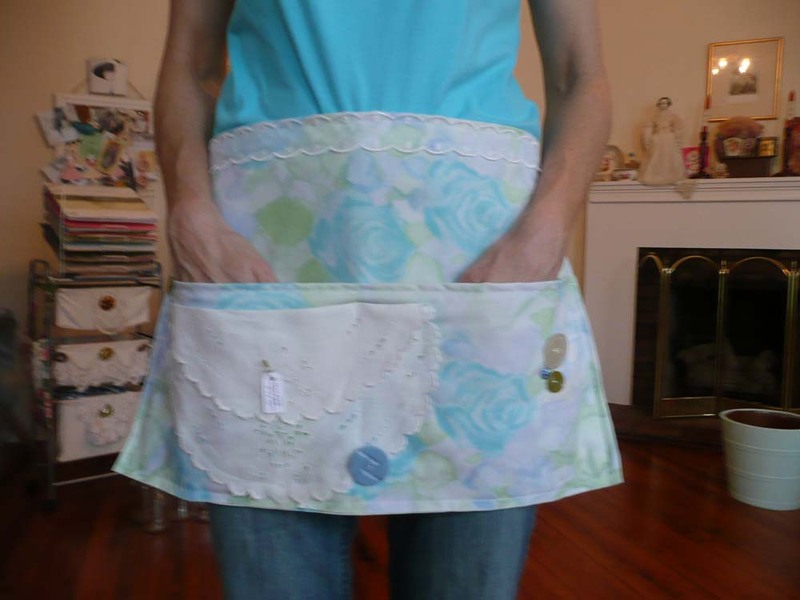 These aprons really are cute when worn correctly and the pockets are large and deep so they hold lots of stuff! 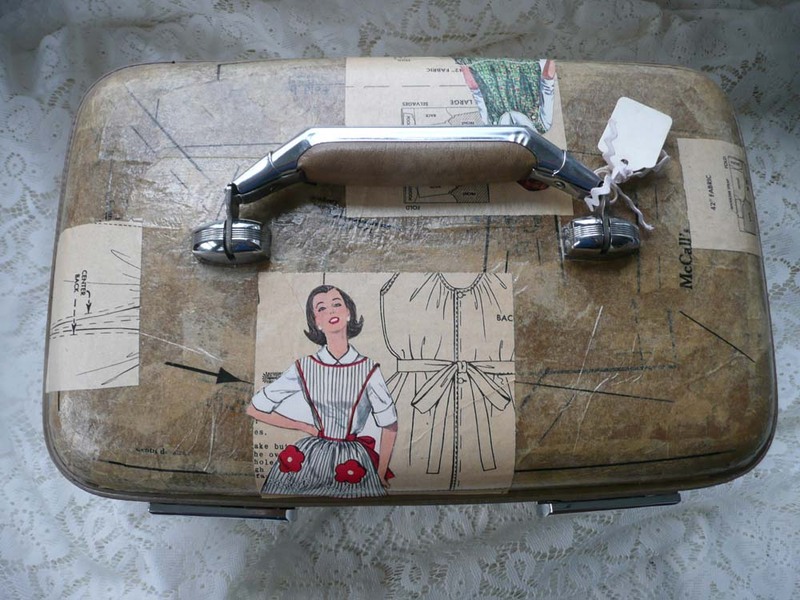 Here is another worn train case that was rescued with vintage sewing patterns and pictures. 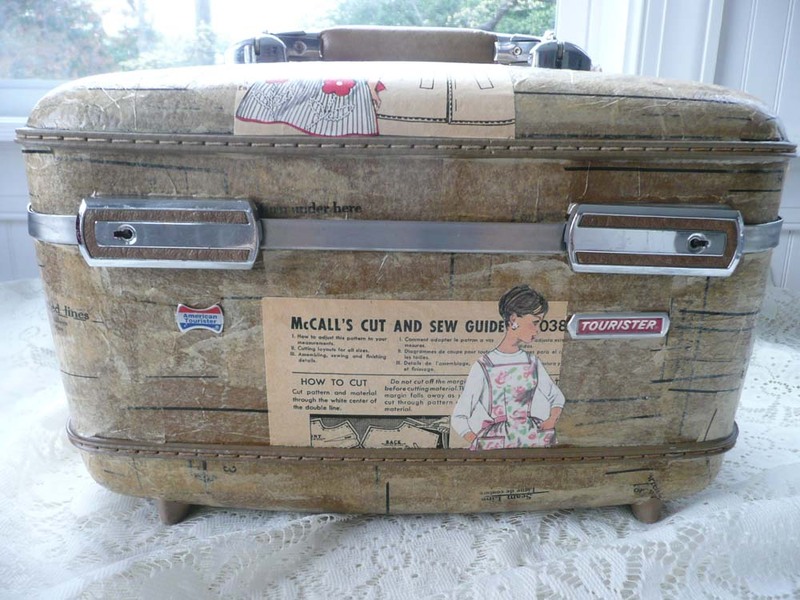 You could use this for make-up or art supplies when you are on the road! 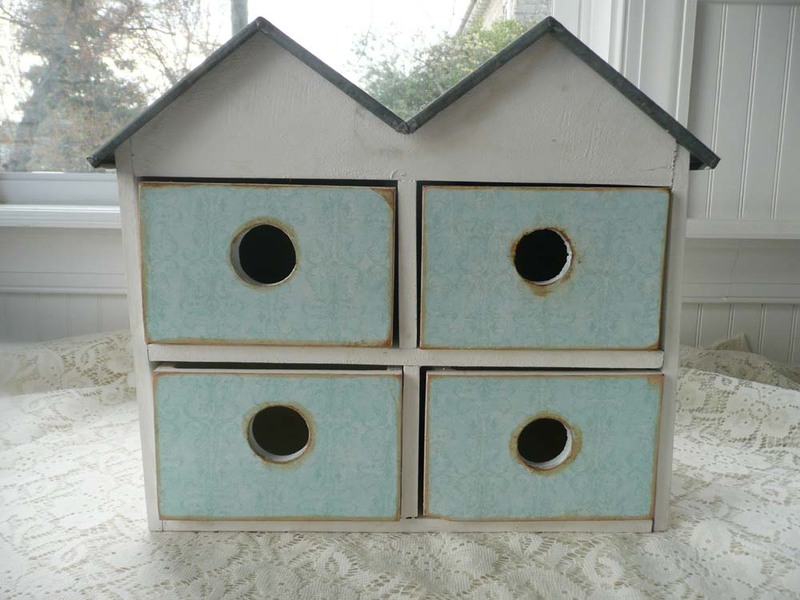 A little scrapbook paper, distress ink and Mod Podge transformed this boring little drawer unit into a cute hiding place for all sorts of treasures. These regular sized spool necklaces have already been seen on my Facebook page, but I wanted to include them anyway. 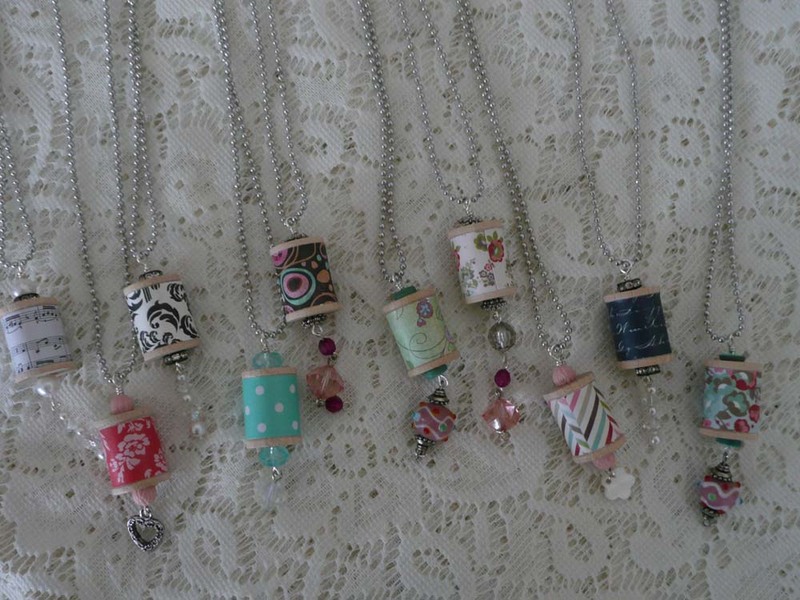 I also made a batch of tiny spool necklaces that have lace around the spool instead of patterned paper. If you live, or are visiting, the Richmond area around the first weekend in May, you MUST come see this show. Everything at the show is either vintage or made (up-cycled) with vintage elements. Each booth is set up beautifully and with a lot of thought. Come on out and see the cutest show in Virginia. And plan to pick up some one-of-a-kind goodies for yourself, family and friends. Look for the Mossy Cottage sign and please introduce yourself if I don’t already know you. I love to meet new people, that’s my favorite part of the show! Hi Helen…I can’t wait for the Vintage show! So beautiful and so creative!